Pretoria was founded in 1855 and named after Andries Pretorius, a Voortrekker leader. The city was the Capital of the Zuid-Afrikaansche Republiek from 1860 until 1910, administrative capital of the Union of South Africa from 1910 until 1961, and of the Republic of South Africa from 1961. 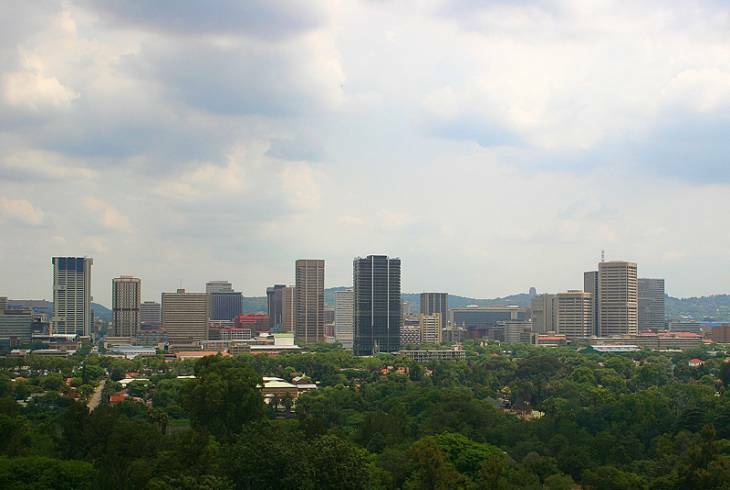 Pretoria is situated in the transitional area between the Highveld and the Bushveld, approximately 50 km north of Johannesburg. It lies in a warm, well-sheltered, fertile valley, surrounded by the hills of the Magaliesberg range. Pretoria is one of South Africa's leading academic cities, and it is home to both the University of Pretoria and to UNISA, the University of South Africa. Overlooking the whole of the city from a hilltop are the magnificent Union Buildings, built in golden stone with Italian tiled roofs. Avenues of purple flowering jacaranda trees are wide enough to turn a team of oxen, this is why Pretoria is known as the Jacaranda city. Pretoria is an important industrial centre, with heavy industries including iron and steel casting as well as automobile, railroad and machinery manufacture. The city has a number of scientific institutes and an abundance of open spaces with parks, bird sanctuaries, nature reserves and a zoo. Pretoria overview. Pretoria Accommodation and Information.